Mayhem Monday: The cellar doors? 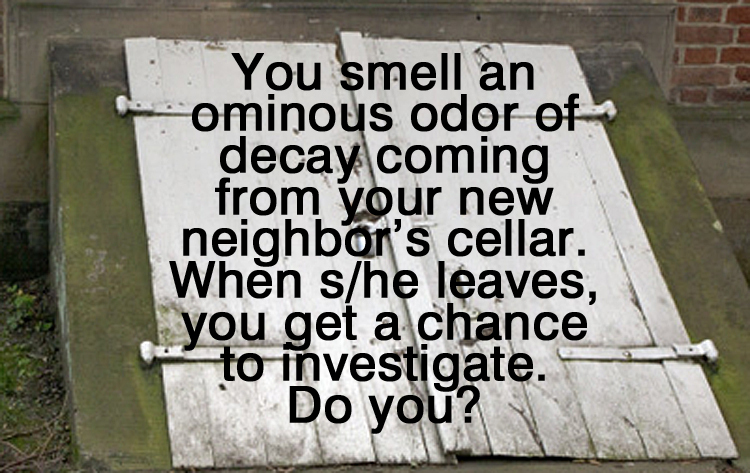 I would tell them their cellar stinks and it getting noticed throughout the neighborhood. Then I hide with a camera and wait for them to clean out whatever it is. That’s how I would investigate, seen too many things go wrong in movies. Of course, while I would be filming them with all my attention focused on what they are removing, some one would come up right behind me and I would be next in the cellar. The best laid plans, as they say.